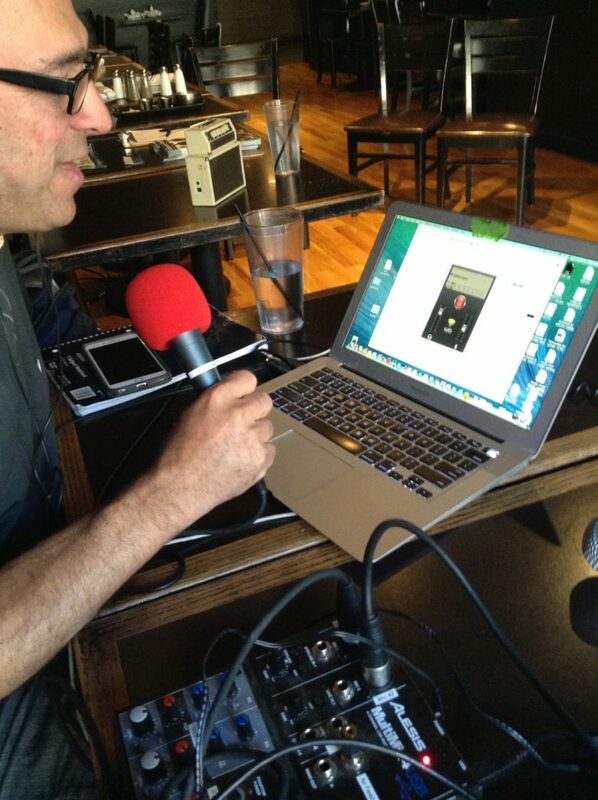 Jeff Santos on location broadcasting a national 3 hour program with Luci Live Lite using a Alesis Mixer, Shure Microphones and a Verizon Jetpack hotspot for connectivity. The quick and easy way to do a fast remote is to use your IPhone with Luci Live Lite software ($35.00). 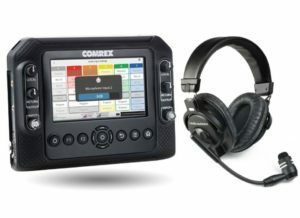 This will need to connect to a Comrex Access or Comrex Bric Link, (1,500.00). If you want to use two microphones with your Phone purchase this item below. If you have a newer Iphone that does not have a headphone jack you will need to purchase this adapter as well. If you are broadcasting a ball game or long remote I suggest you purchase this charging station. You might also need a 25 foot extension cord with a lighted end to let you know it is still plugged in. Need to have 4 microphones I suggest this Yamaha USB Mixer. Shure BETA 58A Supercardioid Dynamic Microphone with High Output Neodymium Element for Vocal/Instrument Applications. This Mic is GREAT for Remotes. Load Luci Live Lite on this computer and you’re all set for your remote. GOgroove Durable Heavy Duty Earbuds (Green) – Ergonomic In-Ear Earphones w/ Rugged Cable, Microphone, & On Board Controls – Noise Isolation & Reinforced Metal Driver Housing. The best earbuds I have ever owned for the price. They are GREAT! Here is the and excellent way to do a remote. 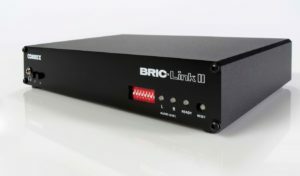 It’s The Comrex Bric Link ll. There are several products in this family. This is the least expensive, however it must connect to another Bric at your studio (or ours). This single unit const about $1,700.00. Everywhere Focus(TM) Cell Phone Holder For Desk, Flexible 360 Cool Universal Smartphone Stand,! Strong Clamp & 2 Stick, Devices Up To 4 Wide. Perfect For Vblogging & Video Chatting! If you are using a WIFI Hot Spot and need an Ethernet connection for a Bric Link, this is the device you need. This little device is a must in my remote package. This unit gives you an Ethernet (hard wire) connection to the internet. Great little mixer for remotes at a good price!